Designed for everyday multitasking and entertainment for smart and practical users, the ASUS R510IK redefines your expectations of all-rounder notebook. With a patterned lid and palm rests, the R510IK adds a touch of sophistication and elegance to everyday computing. 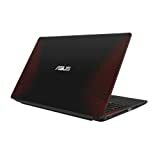 Its slim profile is up to 5% thinner than the previous notebooks in the series while still housing a large touchpad with intuitive multi-point Smart Gesture input, multiple USB ports for fast data transfers and ASUS Splendid technology for vibrant visuals and brilliant colors. 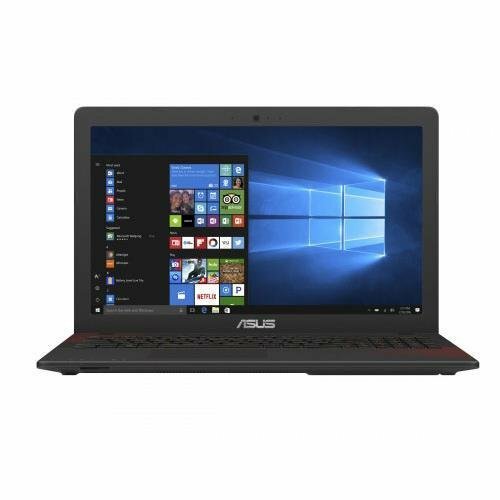 Quad core AMD FX-9830P 3.0GHz processor Radeon RX 560 discrete graphics 8GB DDR4 RAM; 1TB SATA HDD 802.11ac Wi-Fi; Double layer DVD-RW drive 15.6" Full HD (1920 x 1080) display Smooth Computing Value-packed with all the essentials, the ASUS R510 reinvents your daily computing experience. Whether you are using it for work or for fun, this is an ideal machine for both productive computing and entertainment. Slim and Portable The ASUS R510's slim profile houses a large touchpad with intuitive multi-point Smart Gesture input and multiple USB ports for fast data transfers. Crisp and Stunning Visuals ASUS Splendid visual optimization technology provides optimized visuals for any kind of content. It features four display modes: Normal, Vivid, Eye-Care and Manual, which can be accessed with a single click. ASUS Tru2Life Video technology makes any video look a.